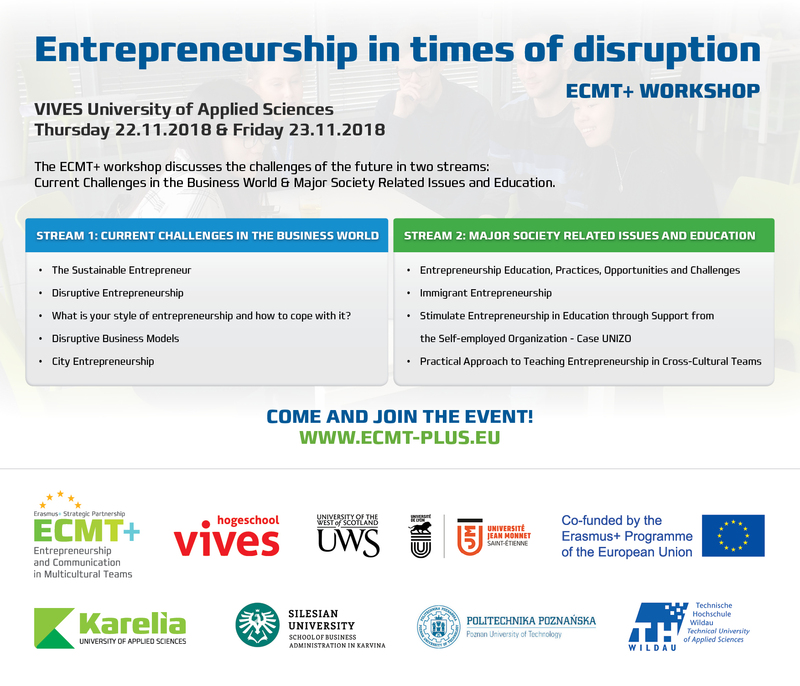 ECMT+ workshop "Entrepreneurship in times of disruption" discusses the challenges of the future in two streams: Current Challenges in the Business World & Major Society Related Issues and Education. Do these challenges appeal to you? - Save the date and join the workshop at VIVES University of Applied Sciences in Kortrijk, Belgium! Follow the ECMT+ webpage for more information later in Fall! Next article:Visit our new blog!